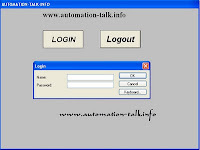 Login and logout are very important for any SCADA application to secure it from unauthorized persons. With this facility you can provide a security level to the User of Omron CX-Supervisor SCADA. In this tutorial we will only discuss about how to use Login and logout scripts in CX- Supervisor. For this tutorial you will need a CX-Supervisor SCADA software and basic knowledge of SCADA system. 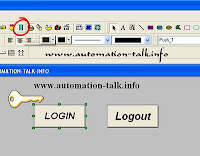 Subscribe to Automation-Talk by Email. 1.Open CX-Supervisor Developer mode. 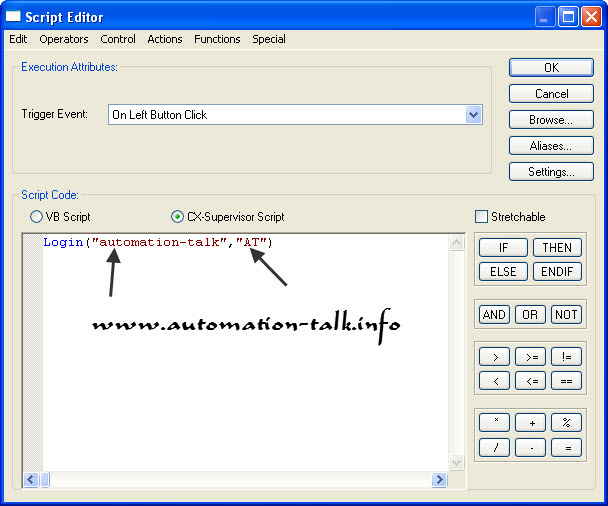 For any query how to start with CX- Supervisor you can see How to make ON/OFF Lamp Application in CX-Supervisor. 2. Now take 2 push button and name them as LOGIN and LOGOUT. 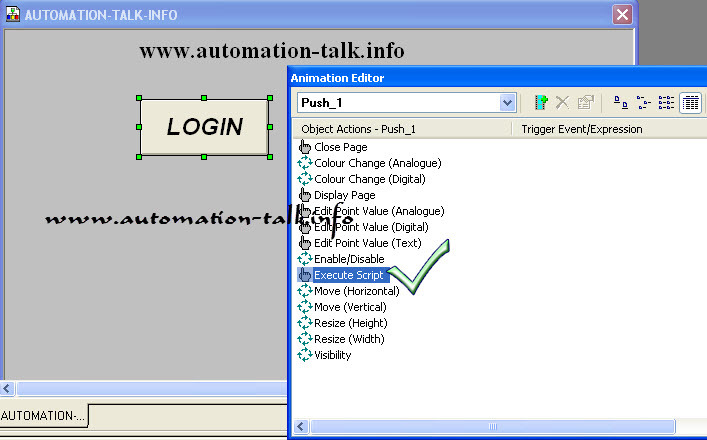 3.Now Select Login Button to apply Login Script on it and click on Animation Editor to bring Animation editor window. 4. 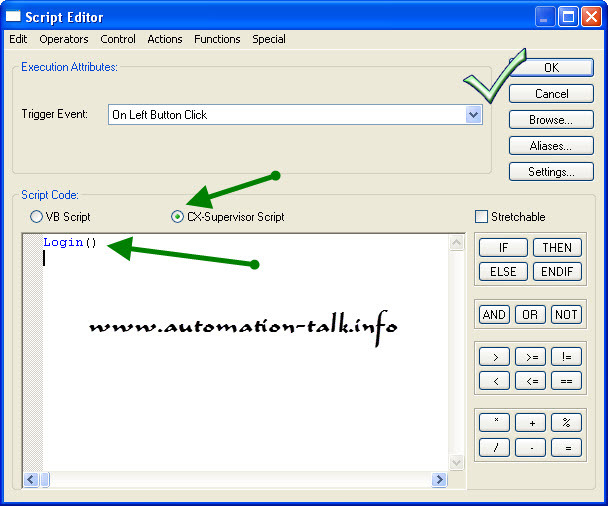 Now double click on Execute Script which will bring Script Window and put the login script as shown in Image i.e. Login () . 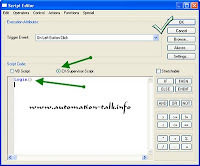 You can also directly put the User name and password also in the script. 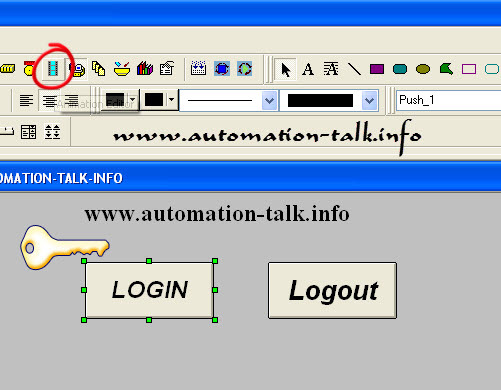 If you see the above image you will see that there is automation-talk in the script which is username and AT is the password so there are 2 ways to write a script. 5. Now repeat process 2-4 for Logout script and put Logout () in script window or you can also put Logout (True) which will show a warning window before Logout. 6. Now when you will run this application for Login and Logout in Cx-Supervisor you will notice that when you click on Login it will ask for User name and password. When you will click on Logout it will prompt for a warning to logout (if you have used that logout script). 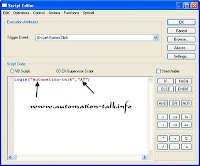 For more such tutorial on SCADA Subscribe to Automation-Talk by Email.